Looking for a Reputable Shipping Company to move your personal effects from the UK to Canada? 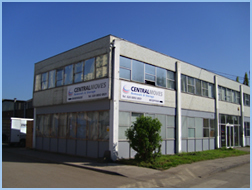 Movingtocanada.biz C/O Centra Moves Ltd should be your first port of Call. With expert help and advice on packing, customs, prices and transport from the UK to Canada. Centralmoves can collect your furniture from anywhere in England, Scotland, Wales and Ireland with Shipping , Customs and delivery Door to Door to any Region in Canada. For more information see Our Customs page or check out the full information on the government website. We have been accredited by both British Association of Removers and The Canadian Association of Movers so you can be sure your using a quality removal service.